This little theatre, re-creating a moment from the book, was used as a window display at Waterstones Bookshop in Stratford-upon-Avon when we launched the Monsters book there. 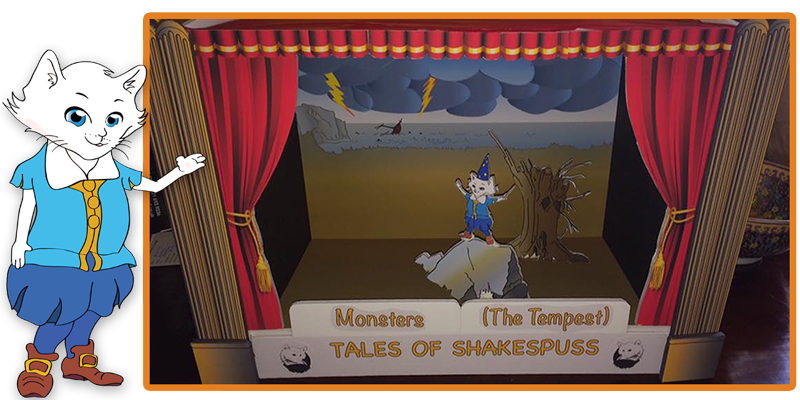 By pure coincidence it so happened that the Shakespeare Theatre in town, (The RSC), were showing The Tempest at the same time, the very play the story of Monsters was taken from. It looks like we may be able to repeat the coincidence at some time soon as the RSC are putting on Twelfth Night this year, just as we are due to be launching ‘A Tricky Letter’!